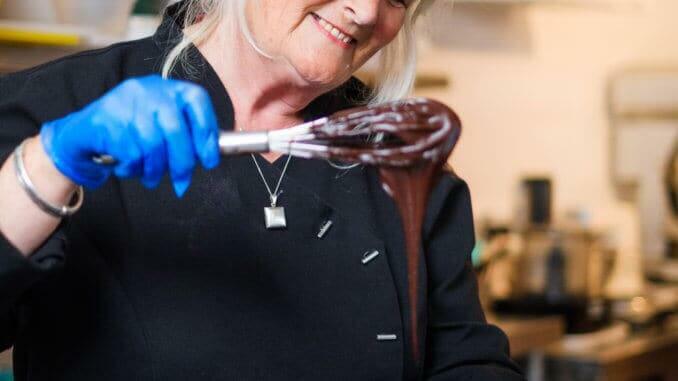 In a market first, “Mummy Meagz“, AKA Meagan Boyle from Yorkshire, England, has launched a startup with a difference; this baker has embarked on a new career in retail confectionary as a 70 year old pensioner. Her range of dairy-free and gluten-free Rocky Road cake bars are now available across the UK through wholefoods distributor, Sumo. 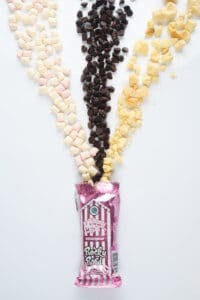 Mummy Meagz’s three cake bars, OOOriginal, OOOrange and MMMinty Rocky Road, contain chunks of biscuit and marshmallows with a dairy-free chocolate coating. The cakes are 55g and retail from at £1.99. Mummy Meagz is a lifelong vegetarian, animal lover, and avid cook. She has always worked in the catering industry, opening her own vegetarian café, in 2003. In in 2017, after having fully converted to veganism, she decided follow through with her business and remove all animal ingredients from the menu. Initially there had been the concern that this would be off-putting to her loyal customer-base, but in fact the change eventually improved custom at her café. As news travelled about a vegan café in Hull, customers came from far and wide to sample her famous cooking and baking. The Rocky Road bars are available wholesale from www.sumawholefoods.com and can also be ordered on www.mummymeagz.com. Become a shareholder in vegconomist! Subscribe for the vegconomist-newsletter and regularly receive the most important news from the vegan business world. I agree that my mail address is used to receive a newsletter on a regular basis. Cancel at any time (link at the end of every newsletter). Thank you!Please confirm your newsletter-subscription in the email we just send you. Thank you! Please confirm your newsletter-subscription in the email we just send you.